Laurier has a long tradition of encouraging and supporting those who want to make the world a better place. In fact, our guiding statement — Inspiring lives of leadership and purpose — was chosen after a careful examination of the university’s history, culture and aspirations. That’s why we’re proud to have recently been named a “Changemaker Campus” by Ashoka U. This prestigious designation signifies that Laurier is a global leader in social entrepreneurship and social innovation education. Ashoka is an international association dedicated to the belief that individuals and organizations can be true “changemakers” — agents for creating positive change in the world. “Ashoka U” is a global network within Ashoka that strives to foster a culture of social innovation in higher education. Laurier is only the second Canadian university to qualify for membership in the Changemaker Campus consortium, an international network of 37 colleges and universities that support one another in making the world a better place. The Ashoka philosophy is based on two related concepts: “social entrepreneurship” and “social innovation.” Social entrepreneurship takes practices that are often associated with business — innovation, goal setting, the measurement of results, financial sustainability, and the creation of systems that can be scaled or extended — and applies them to address social challenges. Social innovation involves the development of new strategies and novel approaches to addressing social needs and sustainability issues. LaunchPad, a hands-on entrepreneurship program that encourages students, faculty, staff, alumni and members of the community to collaborate, create enterprises, and share venture-creation knowledge. “Social innovation zones,” such as the Purpose Lab, which provide collaboration space for students, faculty and staff to work together on social innovation projects. A Social Entrepreneurship Option, the first Canadian undergraduate social entrepreneurship program grounded in the liberal arts. 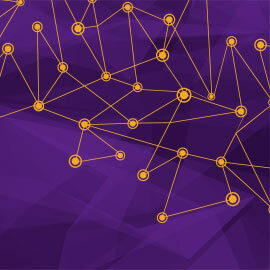 A Social Innovation and Venture Creation strategy to forge links between Laurier’s entrepreneurship and innovation activities, and to provide structure and resources to ensure their success. This includes a director of social entrepreneurship and social innovation, a “catalyst” advisory team, and change leaders and a change team made up of faculty and students from a variety of faculties to help develop and coordinate ideas and actions. Laurier is part of the national RECODE network, a collaborative group focused on social entrepreneurship and social innovation. A three-year, $500,000 grant from the J.W. McConnell Family Foundation helps Laurier build capacity by supplementing the university’s academic programs and by funding co-curricular activities, including student groups and activities, mentorship initiatives and new social enterprises. A Community Engagement Option, a unique partnership with The Working Centre in Kitchener that provides experiential learning opportunities designed to help students explore the concepts of social inclusion, local democracy, and community enterprise. A Master of Arts program in Social Justice and Community Engagement. A growing range of Aboriginal academic programs and support initiatives, including the innovative Master of Social Work Aboriginal Field of Study program and Indigenous “circle rooms” at both the Brantford campus and the Kitchener-based Faculty of Social Work. The collaborative Laurier Centre for Music in the Community, as well as a Master of Arts in Community Music and a new undergraduate concentration in Community Music that encourages students to use music to engage with the world around them. Laurier’s longstanding commitment to social innovation can be seen in the work of many of our alumni. Mike Morrice, for example, was encouraged to pursue his interest in social change during his time as a student at Laurier. Shortly after graduating in 2008 with a double degree in business and computer science, he launched Sustainable Waterloo Region, a not-for-profit that guides companies toward measuring and reducing their carbon emissions. Morrice extended the concept with the creation of Sustainability CoLab, an organization that supports a network of similar initiatives across Ontario. In 2012, Morrice was named an Ashoka Fellow in recognition of his passion for social change and his leadership in social entrepreneurship. At Laurier, we’re a community dedicated to making a difference in the world — a commitment affirmed by our designation as an Ashoka Changemaker Campus. Laurier was recently named an Ashoka Changemaker Campus, a coveted international designation that affirms our status as a global leader in social entrepreneurship and social innovation education. 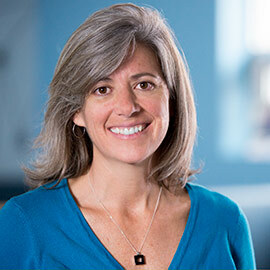 Laurier’s Ashoka change leader for this important project is Joanne Benham Rennick, associate professor of Global Studies (Social Entrepreneurship), director of Social Innovation and Social Entrepreneurship, and director of Laurier’s RECODE initiative. See how Laurier is helping to change the world, and learn what it means to be a Changemaker Campus.